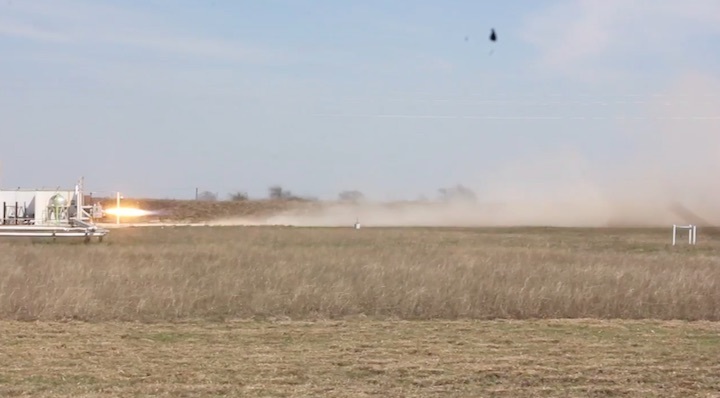 But during this week's South by Southwest conference, Markusic has a different offer for the small group of press and rocket enthusiasts willing to ditch the main convention for a few hours. 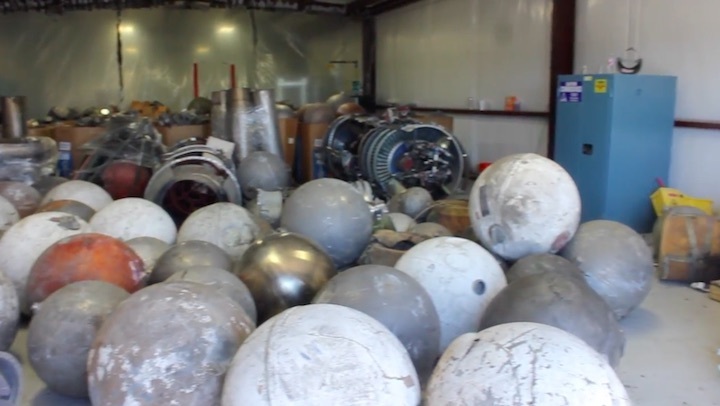 Not only would we get to see Firefly's revamped R&D facility, but this trip to the testing site in rural Briggs, Texas, would offer views of vintage rocket parts, functioning clean rooms, testing rigs of both the vertical and horizontal variety... and a genuine, 15,000lbs-of-thrust test fire of Firefly's upper-stage Lightning engine. I didn't take a single snapshot of dirt. The bus turns right at the chain Tex-Mex restaurant and pulls into what seems like a nondescript strip mall. Flanked by a church and portrait studio, this unmarked office building is what Firefly's R&D folks call home. 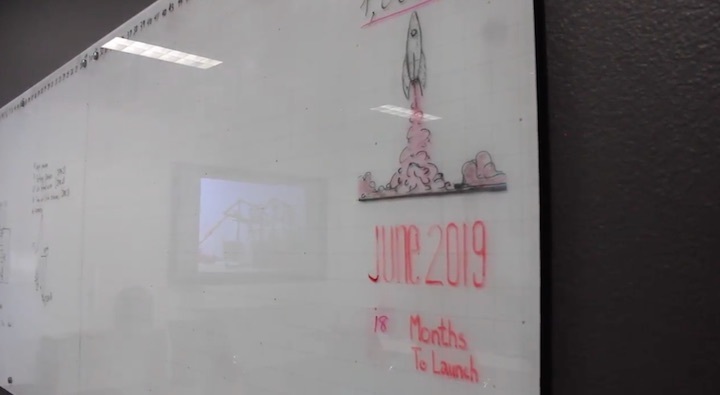 Walking through the open-concept space, you're reminded of just how young this rocket company is (established January 2014) and how ambitious its goal may be. In a little more than a year, Firefly hopes to send a 1,000kg payload to low Earth orbit on top of its Alpha launch vehicle powered by its Lightning engine. Yet four years ago the testing site didn't really exist, and just two years ago the company had to reemerge from bankruptcy. Thus, employees here all seem quite busy today. A machine shop buzzes in the back, and a Mission Control stands in the center so the team here can coordinate with the testing facility during the company's daily engine routine. To oversimplify, the engineers and analysts in Cedar Park continually collect information to perfect the in-progress equipment. 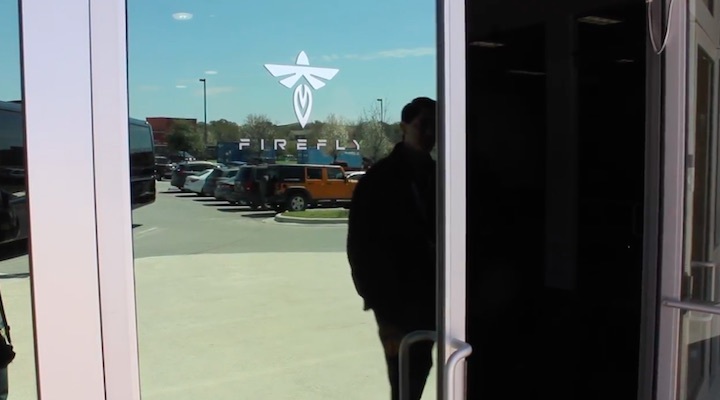 Notably as part of this initiative, Firefly partners with the nearby University of Texas for access to Stampede, one of the 10 fastest supercomputers in the world. "We're a startup company, so you're getting to see us at the infancy. Hopefully when we become the Google of space, you'll be able to look back and say, 'Hey, I knew those guys when they were nobody,'" Markusic tells us on the ride over. "So what you're going to see today is really a new space perspective on how to do this—lots of space, lots of young enthusiastic engineers, and people trying to do things creatively without building a bunch of infrastructure we don't need." 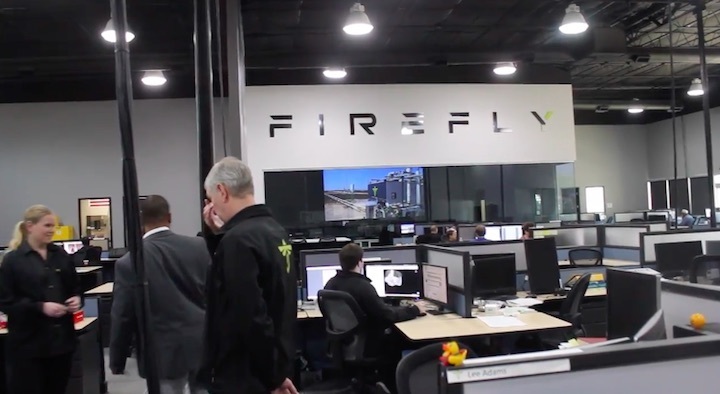 Make no mistake about it, Firefly Aerospace is a business. The ultimate goal is to profit via delivering small payloads to orbit cheaper than the other guys. Markusic tells us the industry metric to watch is dollars per kilogram, with the average cost being roughly $40,000-to-$50,000/kg at the moment. If all goes well, Markusic says Firefly can do $10,000/kg and hopes to get into the single-thousands. "We are trying to build the world's most economic and convenient small satellite launcher; the business is going in that direction," Markusic explains. "If you look at what people are trying to put in space, it no longer makes sense for Battlestar Galatica-style huge satellites that cost a billion dollars. People are building much smaller satellites in startup companies with the capability of these larger satellites. It's kind of like Moore's law being applied to satellites." 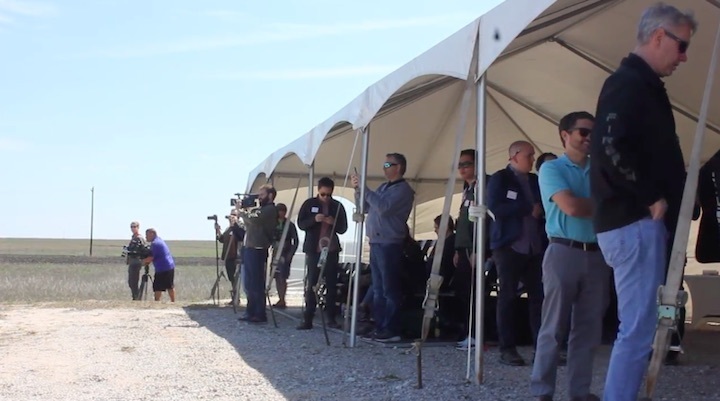 The Briggs test facility is part of that pitch—compared to other space companies, Firefly enjoys close proximity between its R&D and testing / production facilities (maybe the ride takes 20 to 30 minutes) while still being within earshot of an attractive city. So as we pull into a classic ranch-style gate with neighboring cows grazing in the distance, those launch goals feel tangible. These days, Firefly's Briggs 200-acre compound has a number of impressive production buildings (the goal is full-scale component manufacturing and launch-vehicle assembly), but the centerpieces here are the massive test stands—the horizontal rig is already in use, while its vertical counterpart is in progress. It's the first public tour of this space in 3.5 years according to Markusic. "We do everything except let it go out here," he explains. Eventually, we tour all the production spaces and peek into Firefly's collection of vintage space gear, but the real reason we came is the daily test. Testing for the upper stage Lightning engine started last year on the horizontal stand. 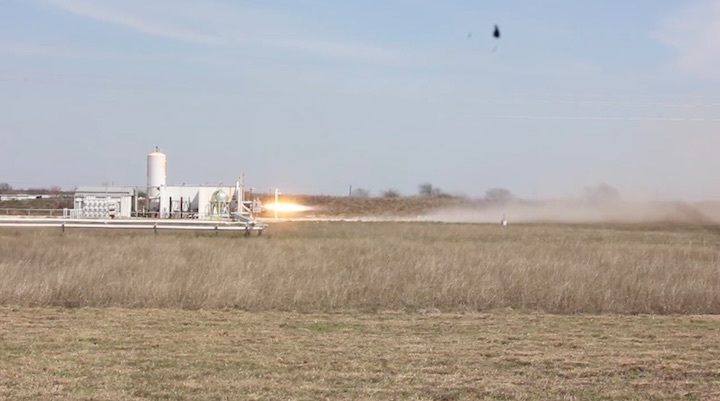 The stand can handle up to 450,000lbs of thrust, and today's 30-second hot fire will hopefully hit 15,000lbs (Markusic believes they'll be testing with about 10 percent more strength by the summer). Emails about RSVP'ing for this day emphasized there was no guarantee of a successful test, but all attendees seemed giddy and all Firefly employees confident. A few minutes out, some small clouds emerge from the priming engine. Scanning the giant dirt pile flanking where the flames would be in these pre-go moments, you can see discoloration marking how long the fire gets. When "15" gets called out, all chatter seems to stop. The ensuing noise is unmistakable. A hot blue flame comes out at first, eventually settling into a striking red that elicits some huge dust clouds behind. Every second involves two gallons of fuel and 3.5 gallons of liquid oxygen meeting to power the spectacle. When it ends, there's audible yelping and chuckles, even the Firefly folks seem to still get a kick out of it. The test is definitely more memorable than dirt, but the tour moves on from this moment without much fanfare. After all, Firefly makes it clear throughout the day they have larger goals quickly approaching on the calendar.